With a vertical drop of 4,139 feet and an average annual snowfall of 400 inches, it's no wonder skiing Jackson Hole WY Ski Resort is on everyone's bucket list. There are 116 trails, over a thousand acres of backcountry terrain and a plethora of mountain services to make your Jackson Hole ski vacation memorable. 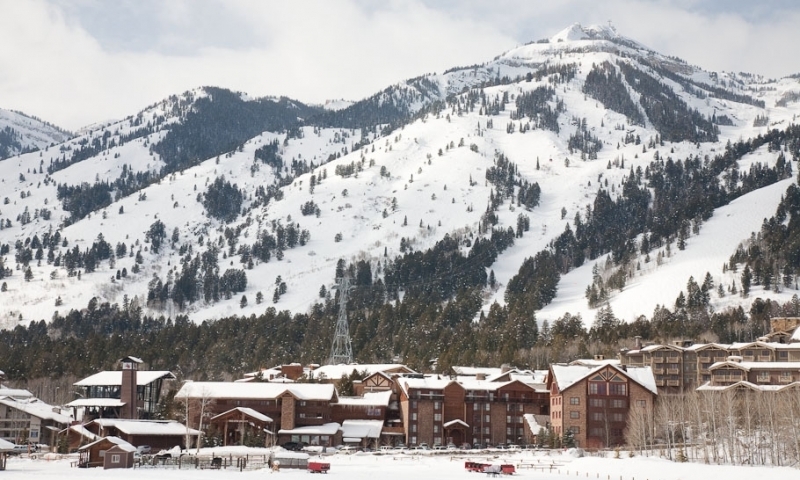 Where is Jackson Hole Mountain Resort? Situated in the Teton Mountain Range, Jackson Hole Resort is 12 miles from the town of Jackson in Teton Village. Shuttle buses operate from Jackson, and charge $3 for a one way ride. To reach the Village from town, travel west on Broadway to Highway 22 for about 6 miles. Take a right onto Moose/Wilson Road (390) and end at Teton Village, 7 miles north. There are three parking lots with rates from $5 to $15 per day. Jackson Hole WY Ski Resort is open from Thanksgiving through early April for the winter season. Summer operations are open from late-May through September. How much does it cost to ski? For the 2017/2018 season, adult daily lift tickets range from $89-$149 depending on the season. Seniors pay $72-$120. Junior ticket prices range from $55-$91. Buy tickets online to save. What other services does the resort offer? Other Winter Activities include nordic skiing, sleigh rides, and scenic tram rides. Summer activities include mountain biking, scenic tram rides, hiking, paragliding, disc golf, and free weekly concerts. The Bridger Center, located at the base of the mountain, offers visitors a variety of services. Ski and snowboard rentals, a tune shop, sporting goods shops, lift ticket sales, locker rooms and the Mountain Sports School are all located here. At the Kid's Ranch, lessons and child care are available from 6 months up to 18 years. There are three on-mountain restaurants and two located at the base of the mountain. Call Jackson Hole Mountain Resort directly at 307-733-2292. Take a ski trip to Steamboat Springs Resort in Colorado.